The American Memory Collection at the Library of Congress website is a national treasure. And sometimes it’s a real pain. Say you want to look up material on the Continental Congress. If you go to the “Browse Collections” page, you might spot the link under “Government, Law” for “Continental Congress.” But clicking on that link brings you to the collection for “Documents from the Continental Congress and the Constitutional Convention, 1774-1789,” which are the political broadsides printed and distributed in that period. 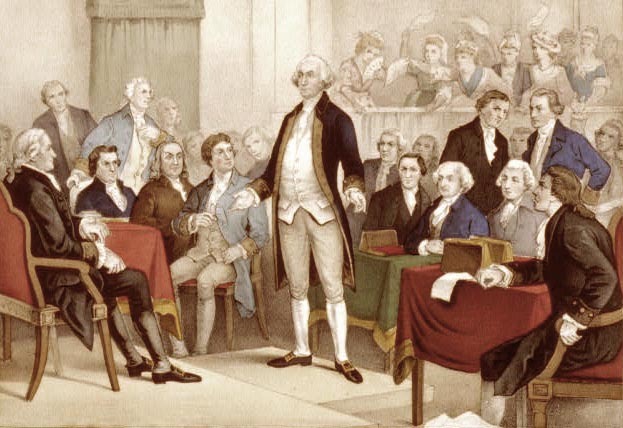 That “Continental Congress” link doesn’t offer the option of the “A Century of Lawmaking for a New Nation” page, which links to the official Journals of the Continental Congress and the useful Letters of Delegates to the Continental Congress, as well as later printed records of national legislatures. the index for that volume. Only by clicking onto a page and choosing the “Navigator” link underneath its text will you find a handy date-by-date navigator for your chosen volume of the Journals. And you might discover that the Congress was careful about keeping controversies and disagreements out of its official records. So let’s try browsing the Letters of Delegates, which report more gossip. Each volume will give you a chronological stack of letters with no dates at all. You have to click randomly and then probe up and down to home in on a particular date. Once you’ve found a letter from a particular date, or a Journals entry, there’s usually a handy “link to date-related documents”—other items created on that same date within that part of the American Memory collection. That can take you over to the other collection, for example. Again, this mass of information, freely available and fully searchable, is a national treasure. But you have to learn its quirks and how to get around them.